The Obama admin didn’t just mislead journalists and lawmakers, they flat out lied to them. And if Hillary becomes president all this madness will continue. The Obama administration misled journalists and lawmakers for more than nine months about a secret agreement to lift international sanctions on a critical funding node of Iran’s ballistic missile program, as part of a broader “ransom” package earlier this year that involved Iran freeing several U.S. hostages, according to U.S. officials and congressional sources apprised of the situation. The administration agreed to immediately lift global restrictions on Iran’s Bank Sepah—a bank the Treasury Department described in 2007 as the “linchpin of Iran’s missile procurement”–eight years before they were to be lifted under last summer’s comprehensive nuclear agreement. 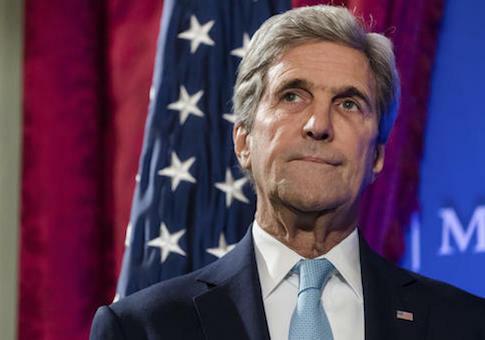 U.S. officials initially described the move as a “goodwill gesture” to Iran. The United States also agreed to provide Iran $1.7 billion in cash to release or drop charges against 21 Iranians indicted for illegally assisting Tehran. Full details of this secret agreement were kept hidden from Congress and journalists for more than nine months, multiple sources told the Washington Free Beacon. State Department officials who spoke to the Free Beacon now say the United States “already made” the decision to drop U.S. sanctions, but declined to address multiple questions aimed at clarifying the discrepancy between past and current explanations for dropping international sanctions. The Free Beacon first reported on these terms in January, including the dropping of international sanctions on Bank Sepah.